Shanthamoi Brown will be living a dream when he carries the Jamaica flag, at this evening’s flag-raising ceremony inside the Games Village and tomorrow’s Opening Ceremony at the 2018 Youth Olympic Games. 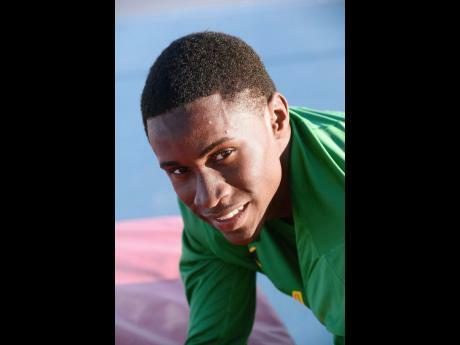 The Jamaica Olympic Association (JOA) put together a 13-member team to represent the country at the event, and Brown said that he has been harboring thoughts of carrying the National Flag for several years now. “From 2016, I saw my inspiration, my idol, Shelly-Ann Fraser-Pryce, carry the flag. From that day, I said one day I must be a flag-bearer, and now my dream has come true and I’m excited,” said Brown after training. The Kingston College student is also captain of the eight-member boys’ team, which he deems an honour. “Being the captain of the team is a great feeling because last year, my expectation was to make the Youth Olympic team. So this year before we left for Argentina, I was named the team’s captain and I’m very overjoyed,” he added. Brown noted that as leader, he has to set an example for others to follow. “I’ve to set an example and lead from the front and do the things that are right so at least everybody can follow me and do the things that are good,” he said. Besides competition on the track, the weather has been somewhat cold, with temperatures sometimes below 508F at nights. Brown said that he has been acclimatising well and will be “up to standard” when facing the starter. “Stepping out of the airport, it was very cold, and since Tuesday, when we arrived here, I’ve adjusted from wearing long tights to just training in shorts as I’ve acclimatised to the weather. I’m 85 per cent ready,” he said. “My expectation is to put in a phenomenal performance and make Jamaica proud.